It’s a brand new year wide open with promise and possibilities. If “get organized” is one of your new year’s resolutions again this year – let’s look at what might have gotten in the way in the past and work to change it in the future. I’ve compiled a list 7 Organizing Mistakes to Avoid in the New Year to help you sidestep the most common roadblocks to a well-organized workspace. 1. Not knowing your personal organizing style – When it comes to organizing, one of the key elements is to understand your personal organizing style. What does this mean? It means that you need to analyze your current organizing habits before you implement new systems. For example – are you a piler or a filer? Do you like an open bin system or drawers? Are you an “out of sight out of mind” person and need everything visible or do you prefer everything to be put away? Do you like paper or are you striving for a “paperless” office? 2. Going for quick fix solutions – Quick fix solutions offer the promise of magically whipping years of clutter and disorganization into shape. If you see a storage product or new piece of technology that seems to offer a quick fix, hold off, it may just wind up as another piece of clutter, frustration and ultimately a wast of money. If the product doesn’t match your personal style, it will not work for you long term. Whether for weight loss or organizing, quick fixes rarely work. Know that like anything worthwhile, getting organized takes time. 3. Boxes and bags syndrome – This is a very common one and I see it all the time. You may be so frustrated with all the clutter on your desk or you might just need to clear it in a hurry – you put all the clutter in a box or bag and stick it in the closet. Before you know it there is an avalanche of boxes and bags in the closet causing you stress and possibly even a great deal of shame. Avoid the boxes and bags syndrome by implementing systems – such as mail processing systems that prevent clutter from happening in the first place. 4. Vagueness about your possessions – It’s important to know what you have. One thing I do with clients all the time is consolidate like items. Organizers are particularly skilled at identifying patterns. If you are a Staples junkie like me for example, keep all your office supplies in one area so you know what you have and what you need to replenish. You’ll avoid duplicates, cut down on clutter and save money in the process. Also, when you are clear on what you have, you’ll be able to purchase the right containers to store them. 6. Someday/Somehow syndrome – The someday/somehow syndrome results from not having a plan. Your plan could be a simple one such as I’m going to spend 10 minutes a day organizing my files or I’m going to come in on Saturday when the office is quiet and do a major purge. Whether your style is to do a little at a time or tackle a project head on, having a plan will help you get it done. 7. I can do it myself syndrome – When it comes to getting things done in our super fast-paced world, we all can fall into the trap of thinking we can do it all ourselves. Avoid this organizing mistake by bringing in what my colleague and pioneer in the field of chronic disorganization, Judith Kohlberg has termed “a body double”. A body double is someone, a friend or family member for example, who will sit with you while you organize and de-clutter. Make sure you chose someone that is supportive and non-judgmental. You’ll be amazed at the results of asking for help. 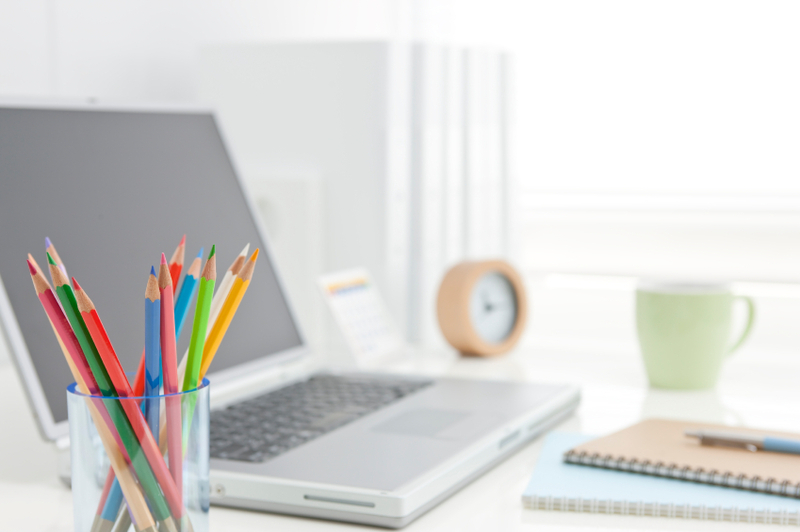 Do you need help with your home office? Avoid “I can do it myself syndrome” and give me a call. My team and I can help you get organized quickly and easily. Email us at ak@akorganizing.com. Thanks so much for the helpful comments. I never thought about my ‘personal organizing style’ before. Hi MK, thanks for posting to my blog. Glad you enjoyed the article. You’ve inspired to create a quiz to identify your personal organizing style. Stay tuned! I’m blowing this up to poster-size and plastering my apt. with it until I get my entire apt. organized! Thanks! You are definitely on your way. Keep me posted! Thanks for exposing those roadblocks to organizing documents. Your tips would work equally well for home offices and small businesses. There is a trend today to move towards a paperless office by scanning documents and doing away with paper versions as far as possible. For example, if you get a good scanner and small business document management software, you can digitize as well as organize your documents in search friendly ways. A solution like Sohodox will let you arrange your files based on your unique needs. It will also help you manage your email from within the application. So if you receive bills via email, you can save them to Sohodox using folders, tags and document types. When you want to refer to them, simply use quick or advanced search and in seconds the document is in front of you. A paperless office can indeed be cost-saving, eliminate clutter and speed up work.